Louie Bashell plays the Music that made Milwaukee Famous! Louie Bashell is well known for his music! 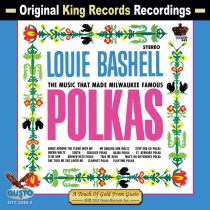 Direct from Milwaukee, WI comes Louie Bashell playing fantastic polkas. Don’t pass this CD with the great Louie Bashell!